The latest pushchairs in our reviews include a Maxi Cosi with a no-hands fold, a Bugaboo that allows you a whopping 15kg of shopping storage and the Uppababy stroller that stands up by itself once folded – marking an end to marked walls. A one-hand fold used to be the pushchair holy grail, but how about a no-hands fold? 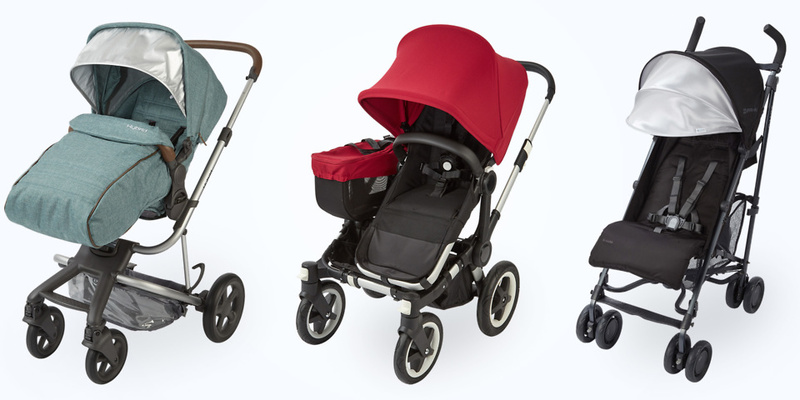 The Maxi Cosi Nova 4 Wheels has a unique hands-free folding system, which means you can forget about awkwardly bending down to release a catch or pull a lever to fold your pushchair. It also won’t matter if your hands are full holding your baby, as the mechanism can be activated with a simple tap of your foot on the pedal. The innovative fold isn’t the only useful feature Maxi Cosi included in the Nova 4 Wheels. This travel system-compatible pushchair has a reversible seat unit, and it can also be used from birth with a car seat, carrycot or Maxi Cosi cocoon. But there are a few things to be wary about. 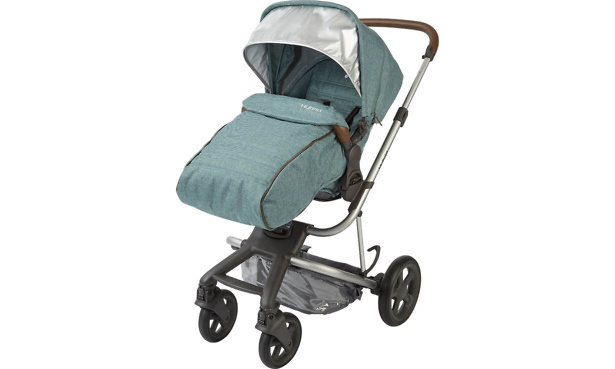 Read our Maxi Cosi Nova 4 Wheels pushchair review to find out about its other features and how comfortable it is to push and use day to day. 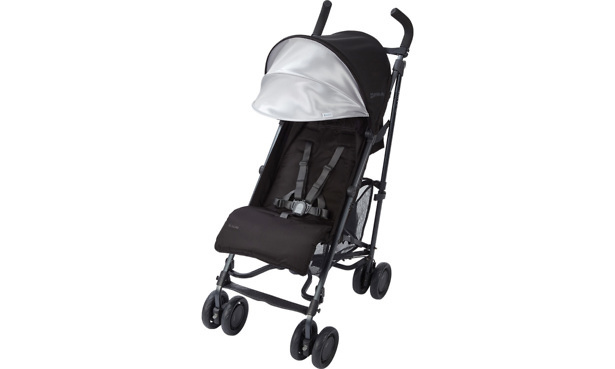 The great thing about the Bugaboo Donkey Duo2 is the flexibility it offers. It’s a versatile travel system that can be used as a single pushchair, or as a twin with two seats side by side. If you buy it as a single but change your mind and want to make it into a double, you simply buy the Donkey Duo extension kit (£280) to attach another seat. It has a generous 10kg shopping basket underneath the seat, which is something rarely seen on double pushchairs – the average storage size of the double pushchairs we’ve tested is 4kg. But if this pushchair is used as a single, you have even more space for shopping or baby essentials, as the attachment points for the second seat can hold a 5kg storage basket on the side (£27). But while this is a practical and versatile pushchair, it comes with a hefty price tag. 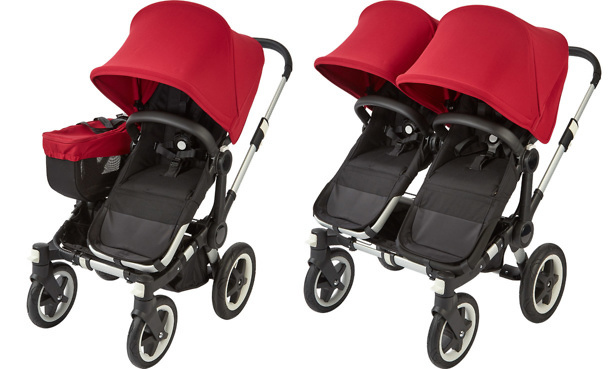 Find out if it’s justified by reading the Bugaboo Donkey Duo2 single pushchair review and the Bugaboo Donkey Duo2 double pushchair review to compare the two configurations. The majority of pushchairs are only suitable for children up to 15kg (around three years old), but the iCandy Raspberry can be used until your little one reaches 25kg (between five and six years old). This is undoubtedly handy if your baby is on the larger side and you’re worried he or she will outgrow the pushchair too fast, or if you like to go on long walks as a family and need a pushchair for when little legs of an older child get tired. But as well as being suitable for older children, in 2017 iCandy updated the Raspberry with a carrycot option for parents who are not keen on putting their newborn in the lie-flat seat. It also now includes elevators to raise the seat and bring your baby closer to you, which means less bending down to check on your child. Take a look at the latest iCandy Raspberry pushchair review to see why we’ve given this updated Raspberry a different score to the original version. There are practical folding triggers under the handles of the Uppababy G-Luxe, which means you won’t need to bend down to release anything or get your feet involved, and it’s quick and easy to fold. Once folded it stands up by itself so it can easily fit in a cupboard, or if you keep it in your hallway it won’t lean and mark the wall. As well as a clever folding mechanism, this lightweight stroller weighs just 7.2kg and it has a carry strap so you can easily sling it over your shoulder – useful for holidays or when going up and down stairs. Similar to the iCandy Raspberry, the G-Luxe has been around for a few years, but it had a recent update which led to its Which? pushchair rating changing. 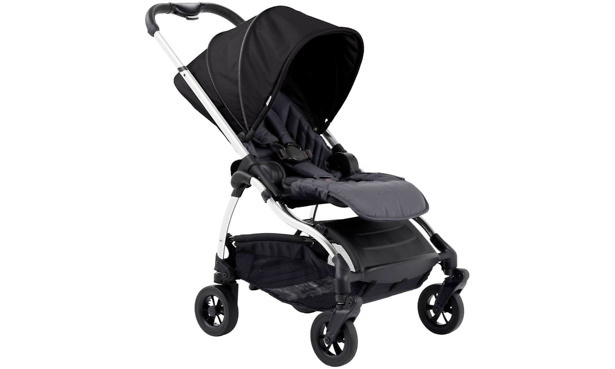 If you’re tempted by this stroller, you can find out more in our Uppababy G-Luxe pushchair review. 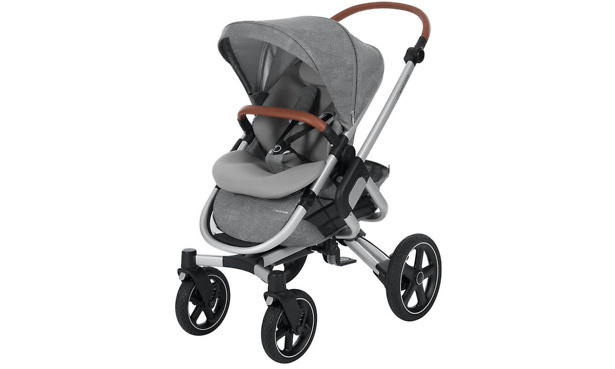 What stands out on the Babystyle Hybrid is that you can swap the axle (from £40) and wheels (from £40) to make it more suitable for urban or country environments. The smaller City wheels make this travel-system compatible pushchair 55cm wide, while the bigger Edge wheels for rougher terrain require a wider wheel axle that extends it to 60cm. As well as changing the axle and wheels, you can use it as a double or a single pushchair. You’ll need to use the Edge wheels if you want to use it in twin mode, as it needs the axle that makes the wheelbase longer to give the pushchair the stability it needs for carrying two children. But being able to add the longer double axle only when you need it means you aren’t lumbered with an unwieldy and over-large pushchair when using it as a single, which is the downside of a lot of converting single-to-double pushchairs. But is it easy to fold and store, what’s it like to push and will your child be comfortable sitting in it for longer than 30 minutes? Find out the full test results by reading our Babystyle Hybrid pushchair review.